Do you suffer from nail biting and have you noticed that this has improved because of the MIR-Method, or has it even disappeared altogether? That’s great! Would you like to read more on this subject? Please read the article Mireille Mettes wrote about nail biting. 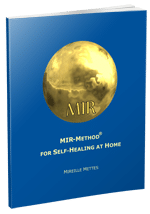 I do the MIR method once or twice a year to self heal deeper each time, and each time i experience dramatic changes. I am thrilled to hear that! It means that inside you several great shifts have taken place! Thank you for sharing! Started the MIR-Method a month ago. After 3 weeks, I had a small dip; is it really doing anything for me? The reason to continue was my NAILS. My whole life I’ve chewed my nails,and “suddenly” I had nails!! Nice, strong nails that I didn’t bite anymore. So something was happening after all. So thanks to my nails, I’m still doing the MIR. I’ve been a nail biter for 50 years. Tried everything and each time I stopped, I started again but worse. I did the MIR-Method and became aware that it is related to “self-destruction”. I’ve been free of nail biting for 3 months now. Now I catch myself biting them once a while and can stop it again. The tension and fear is gone and that feels wonderful. I’m going to continue the MIR-Method. Thank you very much, Mireille. I’ve been doing it for 2 weeks now and notice all kinds of little changes but the best and biggest change is that I no longer bite my nails and am at peace with myself. It’s just wonderful. I’m going to continue because this gives me such a beautiful and good feeling. that’s super, thanks for sharing!